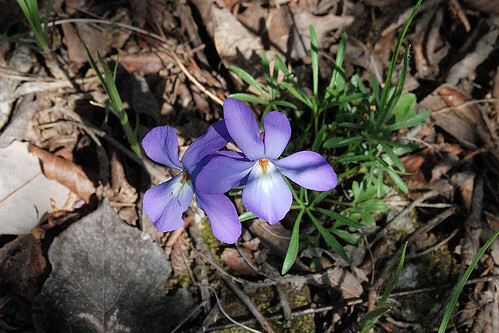 A commonly seen violet colored Viola. Note the heart shaped leaves. 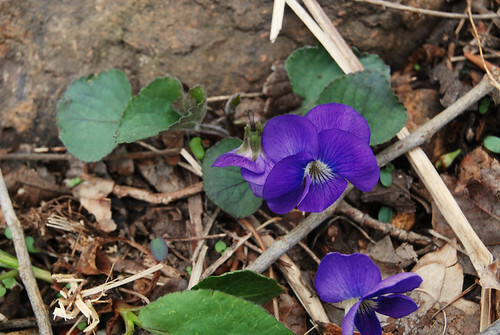 Violets come in the entire range of blue to purple color, often varying even within the same species. 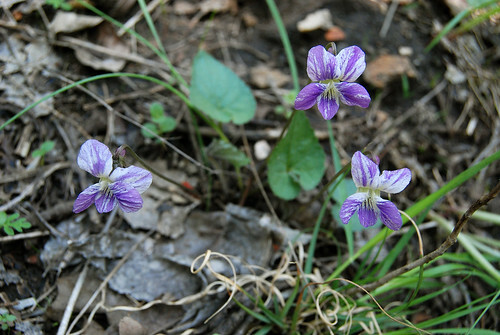 This is Viola triloba named because of the lobed leaves. 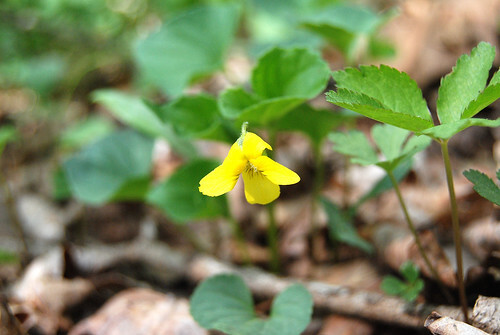 Ever seen a yellow violet? They do exist! 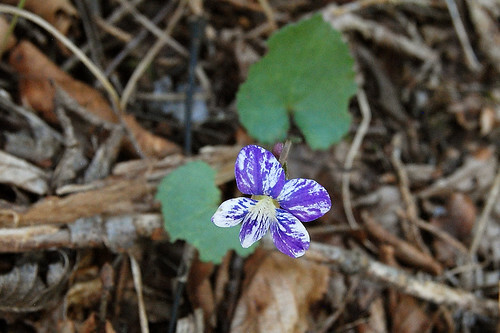 Sometimes violets can be found with striped and blotched petal colors. I am not sure if this is a mixed variety, if it's a mutation, or if it's a separate species. 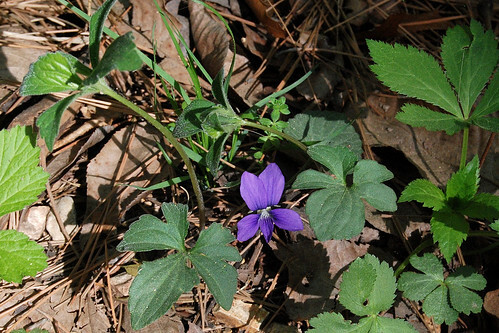 Lanie found this perfect little blotched purple and white violet on the Lake Trail at Piney Creek Wilderness this spring. 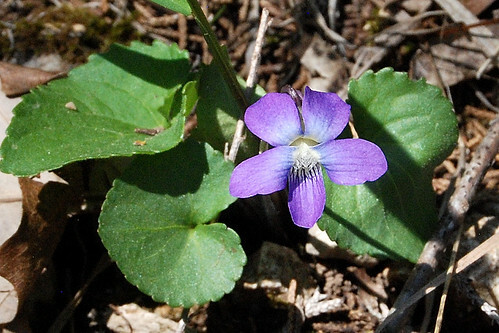 The largest flowered Violet is Viola pedata, the Bird's Foot Violet. Field pansies are violets too. 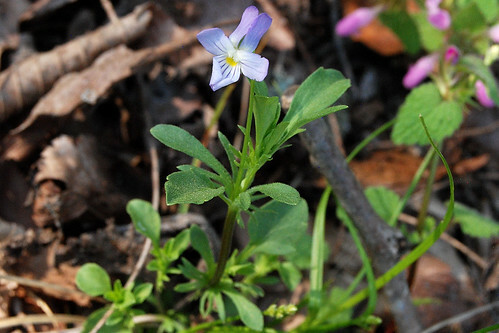 This is Viola bicolor.